Weather observations from around Fiji. Current Weather: Viti Levu, Vanua Levu,The Yasawas, Kadavu and the Lau Group. Not all stations report on an hourly basis. The reports for these stations is based on the nearest station that has sent a report. Click on the link or the image to view the latest Radar Loop from the Fiji Met Service. 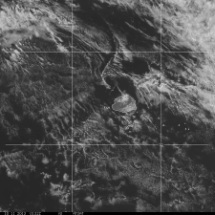 Click on the link on the image to view the current satellite image loop for Fiji. Note: displayed data is currently delayed.